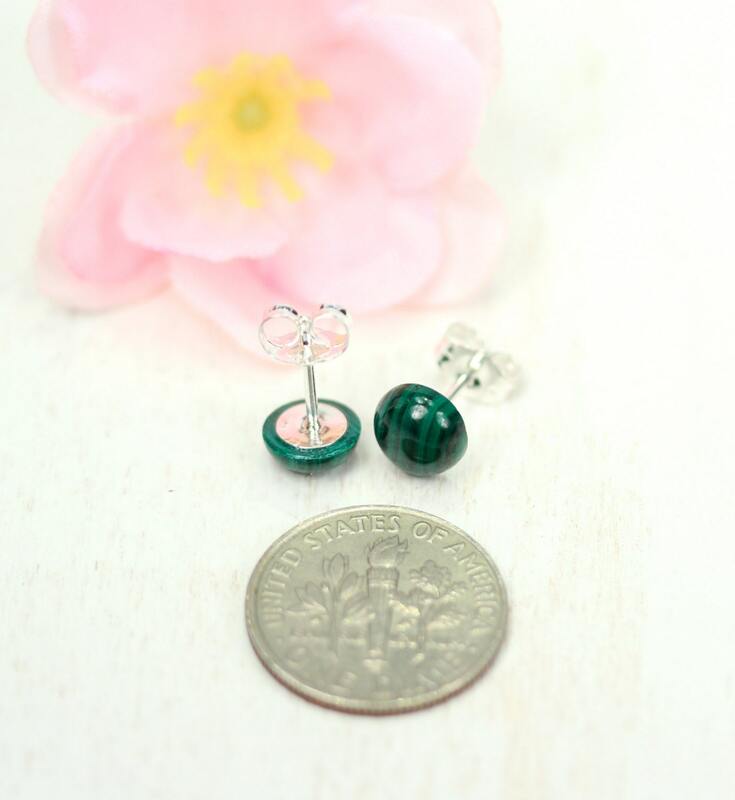 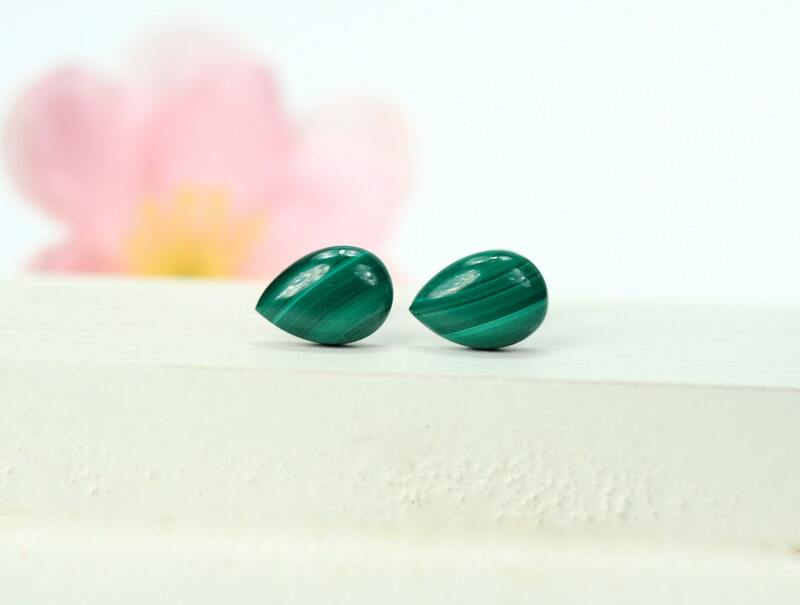 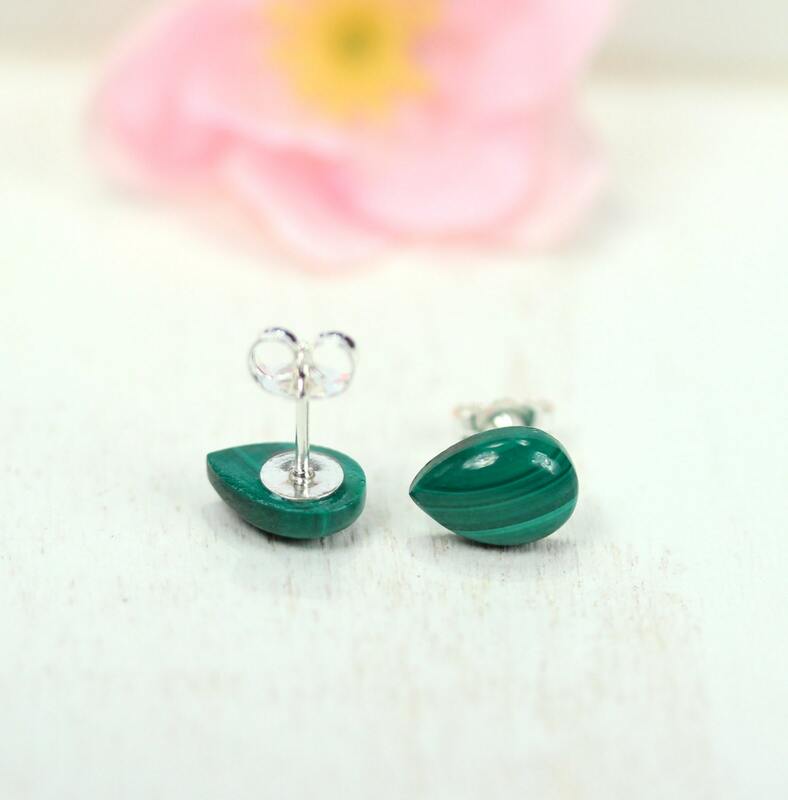 A super cute set of malachite cabochons set onto sterling silver posts. 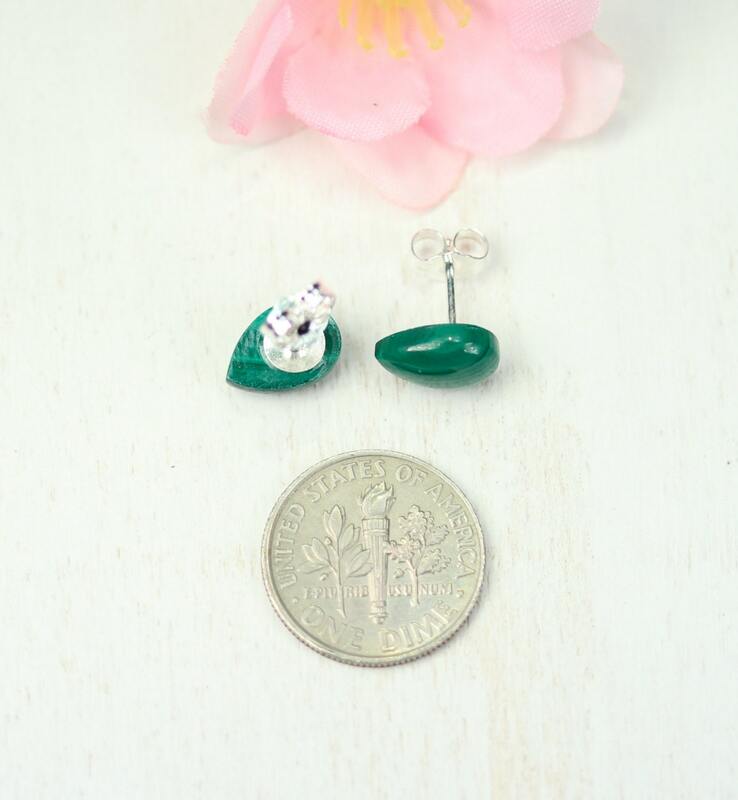 These beauties are available in easy to wear dots and teardrops. 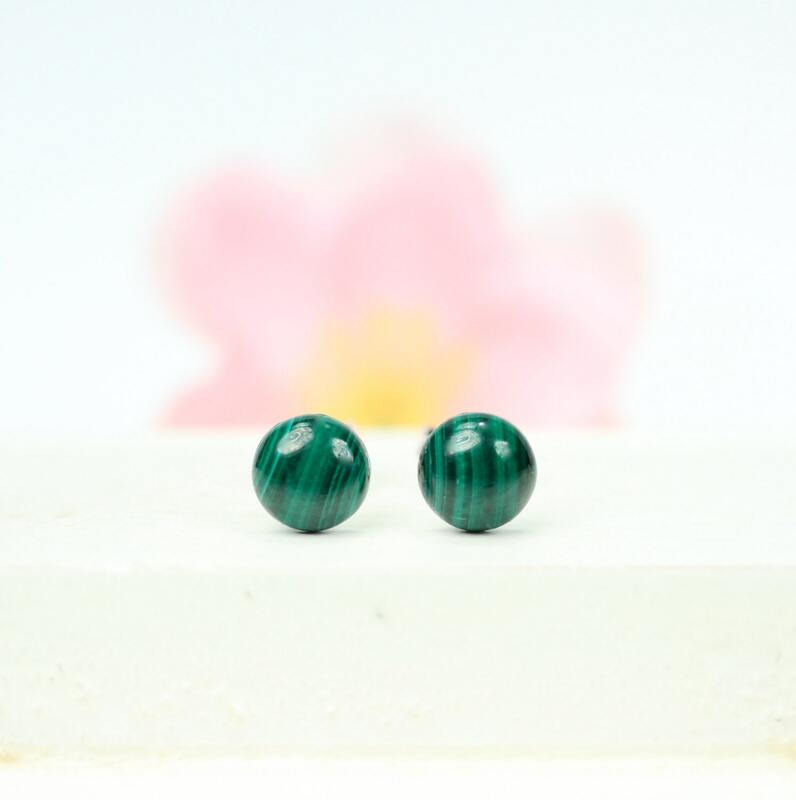 Because of nature and all its beauty, the pair you receive may have slight variations in color and markings.